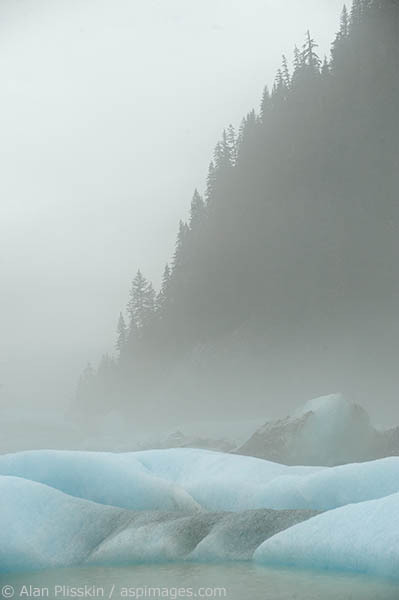 The Stikine river was socked in by fog and filled with icebergs - so much so that we could go no further. The fog kept changing, sometimes so thick we could barely see more than 10 feet in front of us. The iceberg in the foreground made a very surreal scene with the hazy ridge behind.